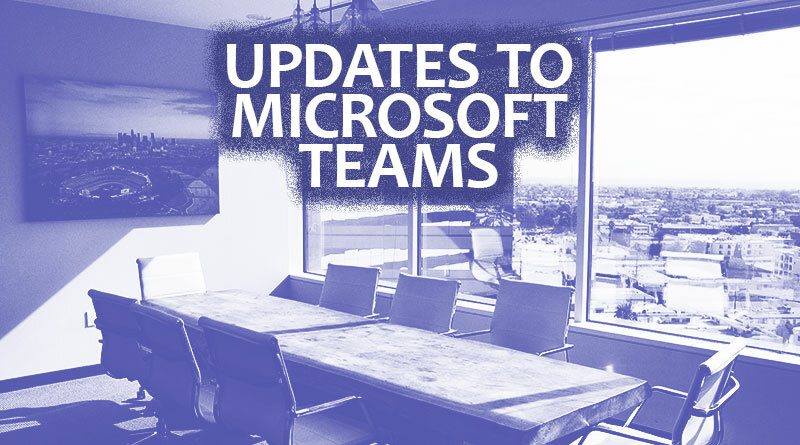 Happy Birthday, Microsoft Teams! The workplace collaboration platform just turned two. But rather than entering the terrible twos, Microsoft is making Teams better than ever. Microsoft announced a number of new features coming to Teams at Enterprise Connect. And hardware vendors are rolling out new devices for Teams at an increasing rate. It’s hard to keep up! In this blog, we’re going to catch you up on all the news. These features are available in preview or set to arrive during this year. Microsoft Whiteboard is a shared whiteboard app for collaborative ideation. It will be available across devices — desktop, web, and mobile — and shared with team members in real time. Whiteboard will let team members create together no matter where they are. If you prefer analog whiteboarding, Teams will use new Intelligent Capture technology to focus on, resize, and enhance a whiteboard in your office. This technology will work with any USB camera. Intelligent Capture allows all far-end participants to clearly see the whiteboard. Private channels will let you set limits on who can see conversations without having to create separate teams for each conversation. Similar to private channels are information barriers. You will be able to set which employees can communicate with each other. These barriers are helpful in organizations dealing with sensitive information and to help your business conform to ethical standards. Microsoft is replacing the current Meetings app with a new Calendar app. You will have three options for calendars: Week, Work Week, or Day. The new app will improve the scheduling experience, including scheduling conferences with non-Teams participants. Microsoft leads the way with accessibility. For hearing challenged team members, Microsoft is adding live captions. They will be able to read the conversation in real time as Teams intelligently produces captions. Live captions will also be useful for team members calling in from loud locations. 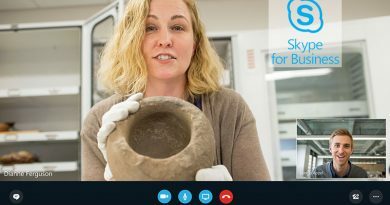 This is for Enterprise Voice customers who use Skype for Business Servers. Meetings First lets customers use their SfB servers for phone calls and chatting while using Teams for cloud-based meetings. You get to leverage your own phone system investments while getting the modern experience of Teams. And of course, Microsoft and their partners announced a slew of new devices for Teams. One of the vendors leading the way with providing hardware for Microsoft Teams is Yealink. 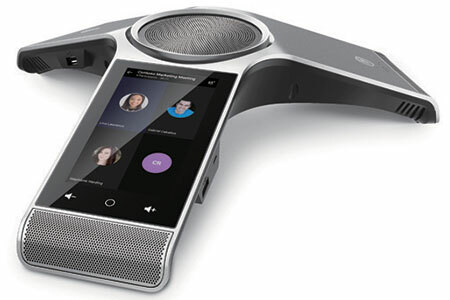 Yealink has announced professional video conferencing systems, conference phones, and VoIP phones for Teams. Yealink Teams video solutions work for a range of scenarios from at the desk to in a large conference room. These devices are certified for use with Teams, offering effortless installation and a seamless user experience. Yealink VP59 is a powerful video phone for HD video conferencing at your desk. It has a large 8” touchscreen display and a 1080p USB camera, so you send and receive excellent video. The display is fully adjustable to prevent glare and unflattering angles. Yealink VC200 is an all-in-one video bar for the huddle room. Designed for groups of 2 to 6 people, VC200 is an integrated 4k camera, 6-element beam-forming microphone array, and video conferencing codec. Yealink MVC500 is a video conferencing bundle with everything you need for professional video conferencing in midsize rooms like conference rooms or general work spaces. Designed for groups of 6 to 12 people. It features a camera with 5x optical zoom and a wide-angle lens, so you get excellent coverage. It also comes with a mini-PC, touch controller, screen sharing adapter, two wireless microphones, and a soundbar. 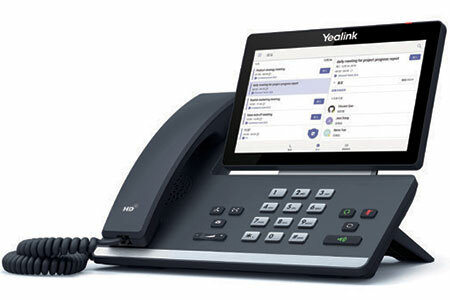 Yealink MVC800 takes the basis of the MVC500 system and brings it to the league. You get the mini-PC, touch controller, screen sharing adapter, and soundbar. Then MVC800 adds a 12x optical zoom camera and more powerful expansion microphones. All told, MVC800 is a complete Teams video conferencing bundle for groups of 12-20+ people. Yealink has upgraded their popular CP960 IP conference phone to be certified for Teams. CP960 has a 5” touchscreen display and a sleek, classic style. CP960-Teams takes on the familiar Teams interface to provide a seamless experience. You can use the phone to launch meetings with just one touch, you see the calendar and contacts, and more. It offers Optima HD audio quality plus Noise Proof technology for greatly reducing background distractions. It has a 20-ft pickup range in 360° to capture voices even in large spaces. 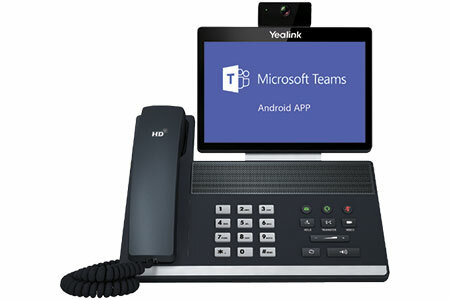 Yealink has also produced desk phones for Microsoft Teams. We’re going to cover three of their many offerings here. These phones all have gorgeous displays. When used with Teams, they present the familiar Teams user interface, reducing friction and improving productivity. Yealink T56A has a 7” touchscreen display that’s fully adjustable for ergonomic positioning. It offers Optima HD and Noise Proof audio technologies. It also supports Acoustic Shield, which creates a virtual “shield” around your conversations to get rid of background noise. You get HD audio from the hearing aid compatible handset and the speakerphone. The USB port works for USB headsets, as well as adding Bluetooth or Wi-Fi connectivity using a separate dongle, or recording calls to a USB memory stick. A Gigabit Ethernet device, T56A is a workplace powerhouse. Yealink T58A gives you the same incredible features as T56A, while adding native Bluetooth 4.2 and 802.11ac Wi-Fi support. 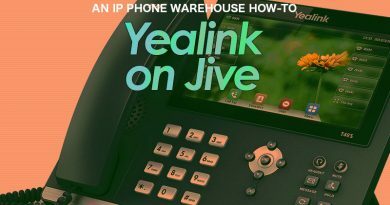 The just announced Yealink T55A will provide a native Teams experience in a mid-level VoIP phone. 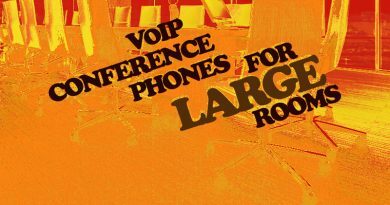 Most VoIP phones have displays that are in landscape orientation, like a laptop or computer monitor. But when you think phone, don’t you think of a display in portrait orientation, like your smartphone? The distinctive design of Yealink T55A gives you a 4.3” touchscreen display in portrait orientation. It takes on the familiar Teams interface, too, so it’ll be like using a smartphone at your desk. On top of which, you get incredible Optima HD and Noise Proof audio. It has a USB port that works for USB headsets, adding Bluetooth or Wi-Fi connectivity via an optional dongle, or call recording to a USB stick. For more Microsoft Teams video conferencing solutions and Microsoft Teams phones, visit IP Phone Warehouse today!